An important role of an associate editor is to assist the peer review of manuscripts. JEI requires peer review of all submitted articles. Quality and timeliness of published material will be assured by selection of appropriate, well qualified and responsible reviewers. To help expedite the review process and to allow the journal's Editors-in-Chief and Associate Editors concentrate on the professional side of their duties, much of the related work in managing the manuscript flow is handled by the JEI Editorial Office. Works left to our associate editors in the process may only include: manuscript review, and identification of qualified reviewers. 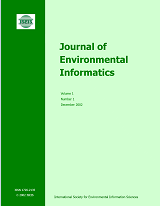 A manuscript submitted to the Journal of Environmental Informatics normally receives at least three peer reviews. One reviewer may be selected from the list provided by the author(s). The Editor-in-Chief will choose an associate editor based on the scope of the manuscript, and request for two or more review(s). A "JEI review request" comes to an associate editor in an email message from the editorial office with the manuscript attached in PDF format. Required number of review(s) will be stated in the message. The associate editor should respond promptly about his/her availability to work on the review. The associate editor needs to identify appropriate reviewers and secure reviewer's agreement to conduct the review in the allotted time. An associate editor may choose to review the manuscript in person. His/her evaluation will account for one of the reviews. The associate editor should notify the editorial office once a reviewer for a manuscript is selected. Then the editorial office may take care of rest of the communications with the reviewer. Alternatively, an associate editor may keep the communications with the reviewer, and then pass the review onto the editorial office once it is completed, or let the reviewer submit his/her review directly. Reviewers and associate editors must comply with the Guidelines for Reviewers. Electronic mail, fax or phone should be used in all correspondence with the editorial office and Editor-in-Chief for timely processing of manuscripts. Each reviewer should complete and submit the review within four (4) weeks from receipt of the manuscript. This also applies to the associate editor who performs the review in person. At four weeks plus one day, the Editorial Office will begin sending reminders to the reviewer, with cc to the Associate Editor. A maximum two (2) weeks of time is suggested for associate editors to select reviewers. This step requires the associate editor to contact the reviewers, and to get their agreement to complete the review within four (4) weeks from receipt of the manuscript. For any manuscript solicited by an associate editor, he or she may take care of the whole review process (please refer to the steps 1 - 7 in JEI's Operating Procedure). The final decision of publication would be made by the Editor-in-Chief based on the associate editor's recommendation. The associate editor must go through the complete review process as described in the Operating Procedure. The associate editor may conduct one of the two required reviews. Once the review and/or revision are completed, the associate editor should send his or her recommendation to the editorial office together with latest version of the manuscript. All the records in the review process should be well kept by the associate editor. The manuscript will go to the publication stage after the Editor-in-Chief makes the decision of publication. The editorial office will be responsible for further communications with the author(s).